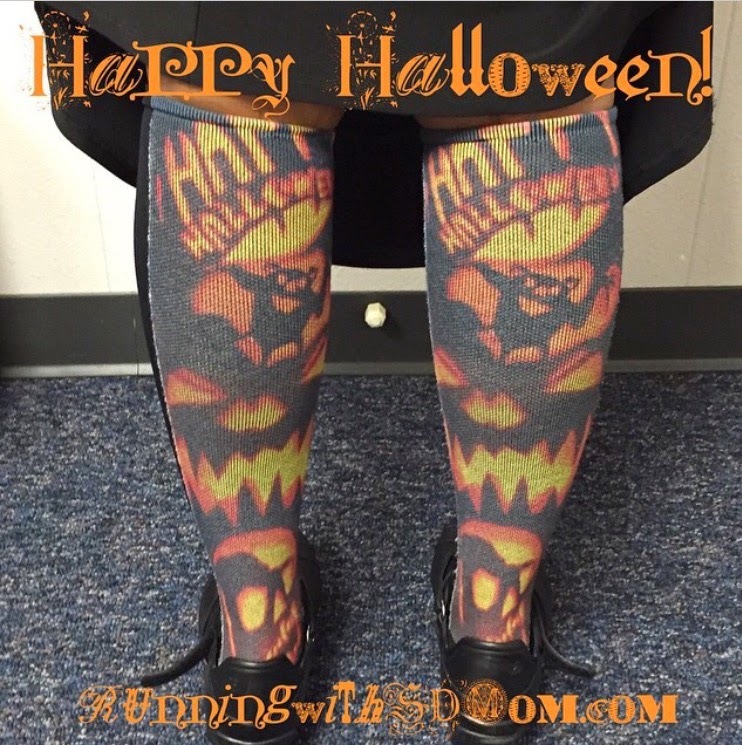 Disclaimer: I have received Crazy Compression socks and sleeves in the past for review & GIVEAWAY purposes. I was not requested to write a positive review. All opinions are my own and I have received no monetary compensation for this post. Welcome to Day 2 of 11 Days of Giving! Thank you so much to Crazy Compression but most of all, thank you for you! What a great end to the year giving away 11 of my very favorites! So much about my love of running and my recovery after long runs is due to Crazy Compression. I used to run exclusively in these socks when I wore running skirts and now that I wear Spandits, I wear them for recovery. Every time. I have reviewed them in the past here. But long story short - I have been relying heavily on my Crazy Compression socks to get me thru these shin splints the last few days. I wear them at work, after my run and even to bed. Don't wear sleeves to bed - you will wake up with cankles! They have lots of fun designs including the purple stars! Or my favorite black diamonds that go with every thing! Or these pink Hawaiian flowers. And I am sure you remember the Halloween gems? So, the great guys at Crazy Compression have agreed to let me giveaway one pair of non-custom sleeves to one of you! Enter on the Rafflecopter! Winner will be provided the prize directly from Crazy Compression. Substitutions unlikely but may apply. SD Mom not responsible for failure of sponsor to deliver product. Good luck and get excited for Day 3 of Giveaways tomorrow with Spandits! These are really cool! Love all the different designs. I love the pink dots in a sleeve. Loving the Purple OTC America! Black sleeve America would be awesome! I like the purple sleeves 3D flowers. I love the pink future dots! I would choose the Black Sleeve Lines of Dots one. 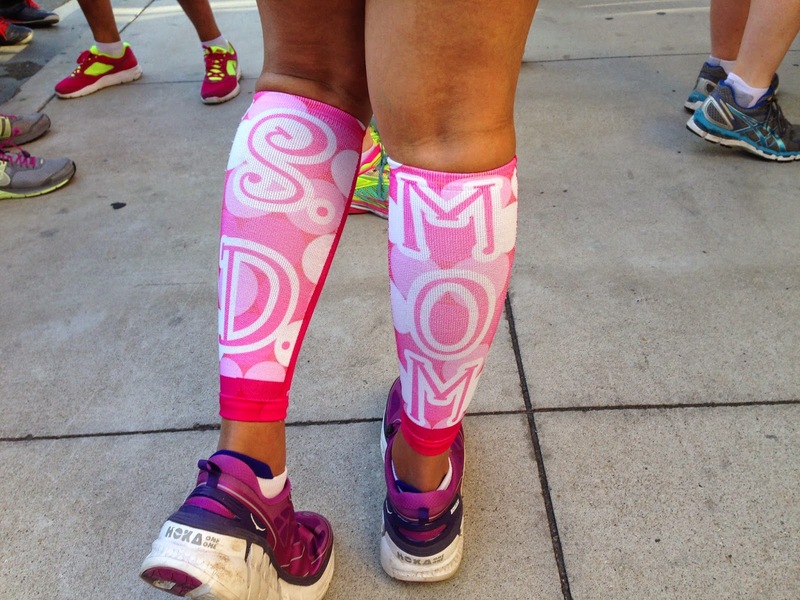 I love compression sleeves and these are really cute! I'm loving the pink otc dots. They're all so cute though!!! I'd get ones with stars on them. Totally cute and functional = great combo! I like several of them, LOL but I think my first choice would be the black sleeve diamond! 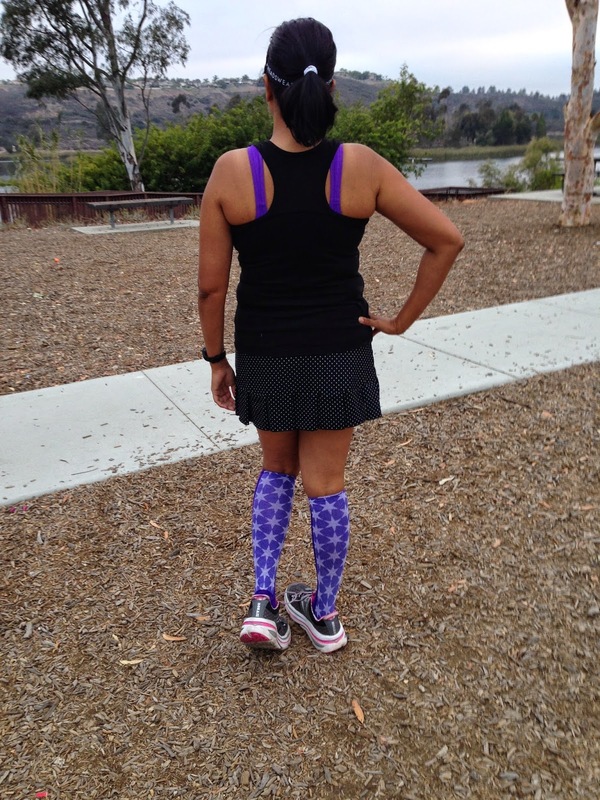 I love the black OC diamond compression socks! I love the American Flag ones! I think I would get the Black Sleeve Circles. black diamond print or the purple leopard! Thanks for hosting this giveaway! They have so many fun patterns! :] Blue is my favorite color though, so I'd go with the Black Sleeve Quilt Like! I like the Black Sleeve America. 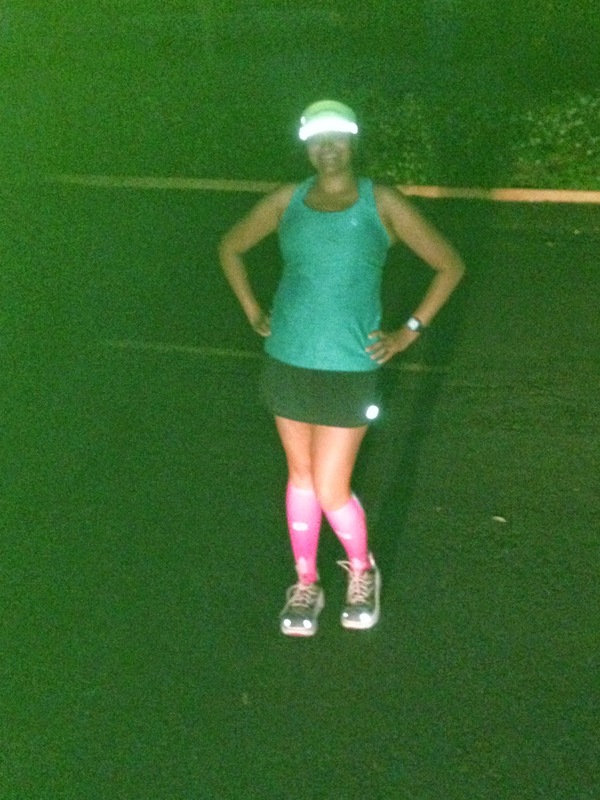 I could have used the Black Sleeve America sleeve on July 4th at the Peachtree Road Race! So those would be the ones I would choose! These are so cute! I like the Black Sleeve Diamonds. I like the diamonds, too! I like the purple star ones. I like the black dots ones. I like the black OTC dots! I like the Black OTC America! Pink sleeve camo. Two of my favorite things. I would choose the Purple Sleeve America. So many fun options! I like the Pink Sleeve Flower Power. I like the Pink Holidays Lights and Stripes.